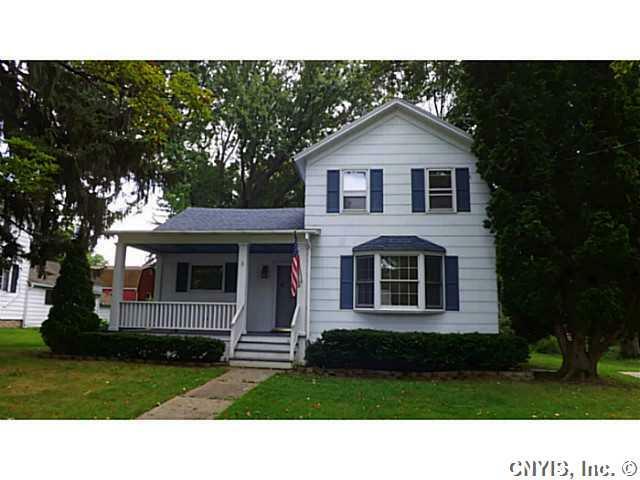 Beautiful, move in ready village home, a short walk to Cayuga Lake! Large eat in kitchen, 3 season room, first floor laundry, lots of built in storage, Beautiful front porch for sipping coffee and enjoying the lake breeze, large back yard with storage shed, perennial landscaping, newer roof, and concrete driveway. 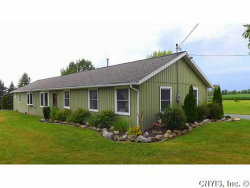 Short walk to Frontenac Park, school, banking, and groceries. Call today for a private showing. We're sorry, but we couldn't find MLS # S339231 in our database. This property may be a new listing or possibly taken off the market. Please check back again. Country home in a pastoral setting with all of the conveniences! 6 BR, 3 full baths, 3,112 sq ft (637 in basement), 24x24 great room with pellet stove, newer windows, open floor plan. High efficiency propane furnace w/ central A/C, whole house fan, partial in floor radiant heat. Plenty of heating/cooling options! Potential in-law suite. Exterior features a 10x24 shed, 1,000 sq ft 3 bay garage with updated electric, 2 gardens w/ established asparagus, strawberries, rhubarb, English walnut, chestnut, peach, cherry, apple trees. Newer roof, well pump, landscaping. Call for a private showing!